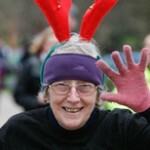 Now in its 9th year, the Epilepsy Action Reindeer Stampede is a 5km festive, family fun run raising money to help more people to live a happier and healthier life with epilepsy. Following a successful transition to our new home, this year’s run will again take place in Lister Park in central Bradford. 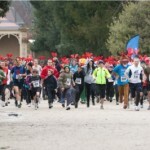 A great way to kick off the festive season, the event is suitable for the whole family, with a mini-stampede for children under 8 years of age. 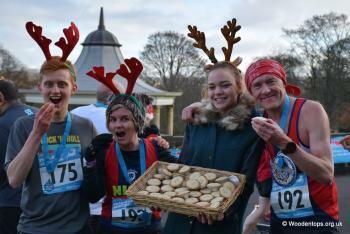 On the day runners will be entertained and encouraged by our team of carollers and bands to help create a fantastic festive atmosphere. 100% of runners surveyed said they enjoyed taking part and would do so again.